An ear, nose and throat (ENT) specialist is a trained doctor who has specialised in the hospital treatment of health problems that affect the parts of the head and neck that are responsible for hearing and smell – the ear and nose – and all of the tissues of the throat. ENT specialists work with other members of a multidisciplinary team that may also include specialists in head and neck cancer, neurosurgeons, maxillo-facial surgeons and neurologists. If you have any problems with your ears or hearing that cannot be treated by your GP, you will be referred to an ENT specialist. He or she is usually a consultant and will see you by appointment at either an NHS hospital or a private hospital, depending on your choices. 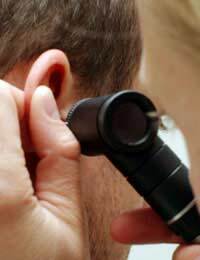 As well as investigating and treating problems with hearing, such as age-related hearing loss, sensorineural hearing loss and noise damage, the ENT specialists also treats ear infections that don’t respond to treatment, problems with balance such as dizziness and vertigo, problems with the auditory nerve and congenital ear problems. This branch of medicine also includes care for people who have tumours that affect the ear – either the outer or inner ear, or the auditory nerve (such as acoustic neuromas). The throat area covered by an ENT specialist extends from the back of the tongue, tonsils and uvula, down through the pharynx and larynx and into the upper airways and oesophagus. Problems such as dysphagia – difficulty swallowing – can be treated by an ENT consultant. Speech problems are treated in conjunction with a speech therapist and throat cancers are treated as part of a team with oncology surgeons and radiotherapists. The nose, sinuses and nasopharynx are intimately associated with both the inner ear and the throat, so the ENT specialist also deals with this area of the anatomy. Problems such as sinusitis, allergies, problems with being able to smell, adenoids, breathing difficulties caused by polyps and nasal cancer are all the domain of the ENT department. An ENT specialist is often also involved in problems that cause symptoms in the face, scalp or skull but that involve structures within the ear, nose or throat. Facial pain and facial paralysis, for example, can arise because of damage to nerves that come through the throat or nose. ENT specialists are involved in treating infectious of the skin of the face and neck, they look at neck lumps and lymph node problems, damage to the face sustained in accidents and they are skilled in reconstructive and cosmetic procedures that can repair that damage. Although an ENT specialist may be involved in the treatment of eye problems that affect other parts of the face, these are usually deal with by an ophthalmologist. After completing a 6-year medical course in a UK medical school, a qualified doctor then undergoes 2 years of further training in hospital practice. One spell will probably be in an ENT department, but this is not vital. It is more important that an ENT specialist gains experience in general surgery and becomes a member of the Royal College of Surgeons. This requires 2 more years of training in general surgery, with a further year specialising in ENT surgery. After this, the training is by no means over, with doctors then going into a selection process for higher training in ENT surgery. The UK has only 30 such openings each year. A successful applicant continues training for a further six years. During that time he or she becomes a Fellow of the Royal College of Surgeons in ENT. After a further period of fellowship in ENT, the doctor takes further exams to become a consultant and is registered as an ENT specialist with the General Medical Council. So, if you have to see an ENT specialist, it is reassuring to know that they have gained their knowledge from 16 years of rigorous medical training and extensive experience in the ENT field. We cannot give you advice here due to obvious reasons. You really need to revisit your doctor again if this matter is proving uncomfortable.